Obviously, I LOVE my kid! I like his smartness, his sense of humor, his love of the Lord, and the fact that he also likes to stop and smell the chocolates of life. Last night, we were admiring the beginning of the sunset while driving home from the grocery store - wisps of clouds tinted orange and pink against the pale blue sky. My son asked me if I had seen the sunset the night before, during his baseball game. I had not. I was paying attention to the players on the field, of course! Well, he will not be the next great pro baseball player with that sort of focus on the game - LOL! - but I am so happy that he takes the time to stop and appreciate God's beauty right in the middle of ordinary life. I encourage you to stop for a moment in your busy day to appreciate something beautiful that God has put in your life. ~ Take a look at my sidebar. 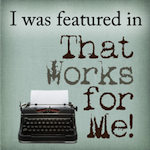 There is a new button at the top where you can go to Divine Caroline and vote for my blog if you feel so inclined - I was so excited to be nominated! Further down, you can add yourself to my list of friends (AKA followers - don't worry, you're not joining a chocolate cult or anything). And a little further down, I have a poll on Thanksgiving side dishes - Sweet potatoes is ahead right now. If you don't agree, you better place your vote! ~ It's time again for "Would you like chocolate with that?" tomorrow. Back to chocolate posts on this one. 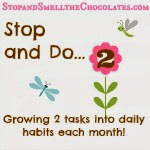 Please link up your old or new chocolate post on Friday! Click here for more info. *Sigh* I didn't get nominated for anything lol. Just kidding. Way to go my friend. I love that your son appreciates the wonderful things God has given us. I'm going to go vote. You better believe I'm going to check out Would you like chocolate with that? My first thoughts while reading your blog was, "she so needs a meme or something on chocolate!" I AM and addict! My poor Sophie...she has a double dose. We are serious about chocolate! Okay....I'll be smelling the chocolates around here a bit. Thanks for the sweet comment! You shoud so try it! 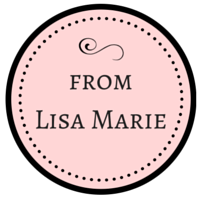 Hi Lisa, Isn't it neat and refreshing to see true beauty through the eyes of our children! :) You have one perceptive young man there! Well that is just cool! Don't you love these kids. The older mine gets, the more I love him. I am just not quite sure how that is possible! Motherhood is an amazing thing! Oh, I went and voted for you! How cool is that! I hope you win!